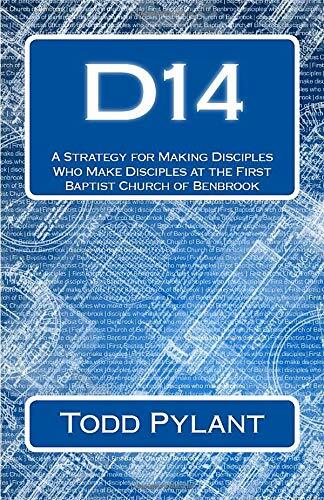 D14 not only explains the disciple making strategy used by the First Baptist Church of Benbrook, but it also explores various disciple making strategies along with their core values. If you are working to develop a disciple making method for your church, this resource will help you understand the differences between the various models so you can discern which model might be right for you. Dr. Todd Pylant has been the Senior Pastor of the First Baptist Church of Benbrook since 2004. He holds degrees from Baylor University, Southwestern Baptist Theological Seminary, and Bethel Seminary. He is the author of "Word of God Speak: Understanding the Bible, Hearing God's Voice" (2011) and "If: The Conditionality of Salvation and the Real Danger of Apostasy" (2012). For more information, visit www.toddpylant.com.